Chatbots have been around for quite sometime now but popularized only recently (around 2016) with major brands and enterprises actively deploying chatbots for interacting with customers in a more efficient and cost-effective way. Chatbots not only assist but also automate & scale support operations. Take the case of KLM Royal Dutch Airlines for instance – the firm handled over 16,000 interactions every week. Once deployed, Blue Bot sent out nearly 2 million messages to over 500,000 customers in a span of 6 months. In our previous blog, we discussed how chatbots are reshaping customer service for good. In this one, we will be talking about how you can narrow down to the right chatbot for your organization. But what are the key considerations? Let’s find out! To leave a mark with chatbot adoption, you need to identify your use case. What is the purpose of using a chatbot, which issues is it going to address, and so forth. Answers to such questions will help paint a clearer picture of your requirements and capabilities. Afterward, you can start evaluating various chatbot deployment strategies. Some chatbots are designed keeping the needs of an industry in mind. Needless to say, they make your job a lot easier. However, if that is not on the table, you can always develop one on your own. A chatbot framework will come in handy for the same. However, you will have to work on it before it can go on and interact with customers. The next question that needs to be answered is whether it is a standard solution or can it be connected to your organization’s content repositories? The engine of a standalone bot relies on its intent training to drive interactions. On the other hand, a bot with access to your knowledge bases can answer a wider range of questions. Next up is how easy or daunting the bot is to configure. Does it require implementation of APIs or an effortless drag-and-drop interface to design the conversations? One also needs to define intent and create entities to identify vital information from user inputs. You should be looking at the out-of-the-box interfaces for setting up the bot as well as the entity list (currency, date, location, etc.) provided by the platform. You also need to check if the bot offers native integration. Miss this one and you might find yourself surrounded by compatibility issues. Lack of native integration means you might be induced to involve a third-party vendor to make it ready for your support center. It needs to understand the query and personalize responses for customers while respecting the access-control permissions of the platform it is deployed on. To achieve this feat, the bot needs to engage with interaction points for identifying the user by looking at his/her history. And interaction points cannot come into play without integrating the bot. If you’re planning to use a chatbot, you might as well be interested in deploying it on multiple instances, won’t you? Is it possible? If yes, then can the bot be customized for every instance? For instance, the same chatbot won’t be the right fit on your customer community as well as inside the support console. Training the chatbot is another uphill battle which you need to factor in. Does it come with natural language processing (NLP) training? Is it capable of holding meaningful conversations with text or speech? Can it be paired with machine learning for continual improvement of interactions or no-intervention learning? An ideal option only requires some training in the beginning after which it almost turns into a self-sustaining solution. Availability of adaptors also plays a crucial role in defining the scope of the bot. To put it simply, adaptors act as external integration points for the solution. If you want the bot to execute a task which (in its standard form) it is unable to do, an adaptor can help. For instance, if you are planning to use the bot in support operations, some adaptors you might be interested in include the ability to create a discussion on the customer community or support center, creating a case on the basis of interaction, passing the case to a live agent with all the acquired data, etc. After connecting to the live agent, will the user be in the same window? Can the bot scour multiple repositories to deliver problem-solving information? These are some out-of-the-box adaptors that you should look for. Last but not least, measuring the bots’ performance. Does the bot gather some sort of feedback to keep a track of how its interactions fare among users? Is it capable of picking up orphan intent from conversations and retrain itself for the same? 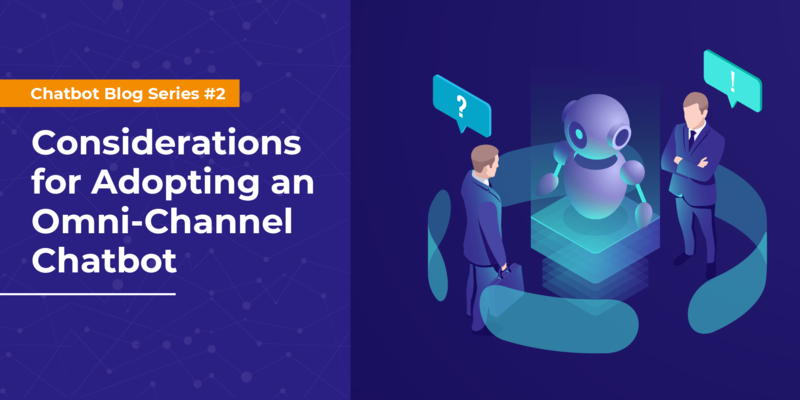 Chatbots have turned into an indispensable part of the branding race across industries, and only those organizations will emerge on top that successfully exceeds user expectations. These 8 steps will empower you to build a brand that fosters strong and lasting relationships with customers and turn them into brand loyalists.